Note: After logging in, many non-core apps may be accessed. Google's consumer Terms of Service apply to all non-core apps. The IS Service Desk can only provide support for the apps listed above. Learn more about opting-in to the early adopter program to test new and upcoming features for Gmail. 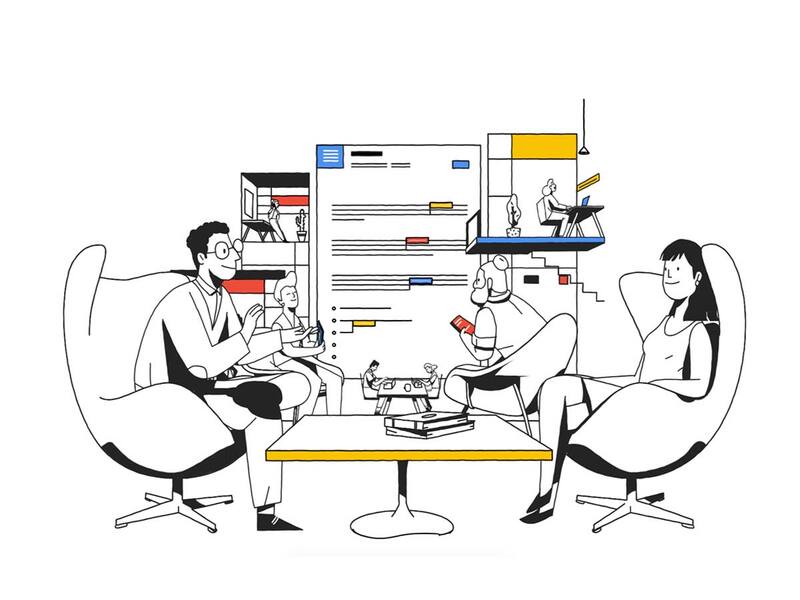 Collaborate on projects, secure your files, build rich multimedia presentations and more with G Suite applications from Google. Engage with your students, modernize departmental workflows and work collaboratively with your colleagues. G Suite applications make research easier by bringing together data storage and content authoring tools in one place. Google's commitment to providing a secure environment underpins OSU's decision to adopt Google as a cloud service provider. OSU's contract with Google stipulates that intellectual property rights in the data stored within the Core Apps (Mail, Calendar, Contacts, Drive, and Sites) remain with the customer (OSU doesn't grab ownership). All faculty, staff, and students will be provided access to Google Apps via their ONID account. These accounts may be used to conduct university business within the Google cloud. When using Google services, it is up to you to determine who has access to the data you've placed there. Aside from the information listed above, there is information that is of a private nature and should only be shared with people within the University with a business need to know. One example of this would be student data. Unless the information is of a public nature, do not share data with any account outside of University control, including your personal Google account. Personal accounts may not be used for University business. Will I see ads displayed in G Suite for Oregon State? No. Not only is G Suite for Education provided at no cost to qualified educational institutions but ads are not displayed to accounts under the Apps for Education contract. What is Google charging OSU to provide these services? G Suite for Education is provided at no cost to qualified educational institutions. OSU is not being billed by Google or by any third party in association with this offering. What other educational institutions use G Suite for Education? G Suite for Education has been broadly adopted across the United States. Many OUS institutions such as Portland State University, Southern Oregon University, and Portland Community College now use G Suite for Education, as do other Pac-12 universities such as Stanford. Who gets to use G Suite for Oregon State? All ONID accounts were granted access early during the Summer Term 2013. That means all OSU employees, all OSU students, recent graduates, and others who have an ONID account. Do I have an ONID account? All OSU employees and all OSU students have an ONID account. If you currently access Banner, Online Services, Blackboard, myOSU, ONID email, or other university-provided services, then you certainly have an ONID account. You will use the same username and password to access G Suite for Oregon State. Are Hangouts protected under our agreement? Due to the changes that Google has made to Hangouts (previously Google Chat), the stored conversations are no longer protected by our agreement with Google. Hangouts are now stored in two locations Google Drive (Core App) and also your Hangout application (Non-Core App), since one of the locations is a non-core application the discussions are not protected. Can our department set up a shared group account for G Suite for Oregon State? Access to G Suite for Oregon State is tied exclusively to individual ONID accounts. ONID accounts are tied exclusively to individuals. Check out Box for departmental file sharing and storage needs. Use your ONID username and password to login to G Suite for Oregon State. This is the same username and password combination you use to login to OSU-provided services such as Banner, Blackboard, and myOSU. Will I be forced to use G Suite? If you are an employee or OSU affiiate who has an ONID account, then the answer is No. Use of G Suite is completely optional. The University is not requiring that students use the Google web interface, but as of December 30th 2013, all student ONID mailboxes have been migrated to Google and all ONID mail for students is now delivered via Google. Which apps are available in G Suite for Oregon State? How do I enable "pro" versions of Google's APIs, and how can I add Marketplace Apps to extend functionality of G Suite? Google continues to add new apps, offer fee-based enhancements of existing apps, and provide links to the third-party developed "Marketplace Apps" that further extend G Suite functionality. Unfortunately, we can't automatically activate each one for OSU because we need to make sure the app doesn't inappropriately access University data or share your personal information. Hence, each application must be evaluated for privacy, security, and potential costs, which is time consuming. If an application that isn't currently enabled in G Suite for Oregon State would be particularly important to have available as a service, send us your request and we'll document it for future consideration. I'm a student. Will I be forced to use G Suite? Students are not required to use the Google web interface. If you prefer, you may set up an IMAP email client to send and receive your ONID email. You may also forward your ONID email to another email address following the migration of ONID email to Google. Instructions are posted to the Helpdocs website. I'm an employee. Will I be forced to use G Suite? No. Use of G Suite is completely optional and employees' ONID mailbox will not be migrated to G Suite for Oregon State. I'm an employee with an @oregonstate.edu email address. How does the ONID email migration affect me? Exchange accounts for employees, which are typically associated with an @oregonstate.edu email address, will not be migrated or otherwise directly affected by ONID email migration. I'm an employee and I currently use ONID webmail. How does the ONID email migration affect me? First, please note that you may continue using ONID webmail and you do not have to transition to using Google for email. However, if you want to transition to Google for your ONID email, you will first need to opt in to Google Mail, and then you will need to forward your own email. For any employee wishing to take this step, we recommend that you clean your ONID mailbox so that irrelevant or overly large email messages do not slow down the migration of your email to Google.